Smart companies know the importance of striving to keep their customers happy. After all, studies have found that the cost of acquiring a new customer is five to 10 times more than the cost of retaining an existing one. And so the measurement of customer satisfaction and loyalty becomes an important part of a marketing strategy – for example, an annual survey to customers to gauge how they feel about the business. But, you may ask, why measure both satisfaction and loyalty – aren’t they the same thing? A satisfied customer is a loyal customer, right? Not necessarily. Customer satisfaction is fairly straightforward. At a basic level, a measurement of satisfaction tells us how pleased (or unhappy) a customer is overall or with a specific aspect of a company. Surveys ask customers to indicate their level of satisfaction directly, typically using a multi-point scale (such as very satisfied, somewhat satisfied, neutral, somewhat unsatisfied, and very unsatisfied). 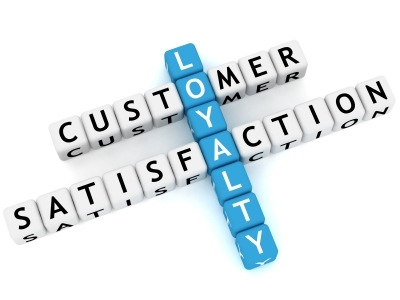 Customer loyalty measures the security of a customer base – that is, how likely they are to remain customers. Satisfaction certainly plays a part in customer loyalty. But loyalty is more complex than simply how happy a customer is with a company or product. Many factors affect how likely a customer is to purchase from the same company again versus going to a competitor. For example, considerations such as price, the availability of viable alternatives, the difficulty or cost of switching, and even a feeling of connection or relationship with the company, all play a role. Because customer loyalty is multi-dimensional, it can be difficult to accurately assess through a single survey question. Therefore, companies often employ a loyalty index – a series of questions addressing loyalty through different angles, the answers to which are later compiled into a single metric that can be tracked over time. Conducting a formal customer satisfaction and loyalty survey can give you a full picture of how your customer base sees your company, which aspects shine and which are falling short, and – perhaps most importantly – where to focus in order to best solidify your customers’ loyalty. A Bit of Cloudiness for Cloud Computing? A long-time networking/security colleague recently asked me an interesting question. Apparently he’s been getting some pushback from enterprises on cloud computing topics and wanted to know if I had been seeing the same thing. To summarize my original, somewhat rambling response: (a) now that you mention it, yes, I’ve been hearing some of this too, and (b) when you think about it, this reaction is not particularly surprising. Let’s be clear, everything I’m talking about here is anecdotal. I don’t have any meaningful statistics I can share (at least not yet); I haven’t been actively inquiring about this topic (until now). But that doesn’t change the fact that, in passing, more than a handful of people have signaled their disillusionment (to borrow from Gartner) with most things cloud. As for this making sense, I think there’s more to it than the cloud market simply being at a certain point in the hype cycle. In all its full-blown glory, cloud computing is astoundingly complex. Moreover, cloud technologies and services are still very much in flux. 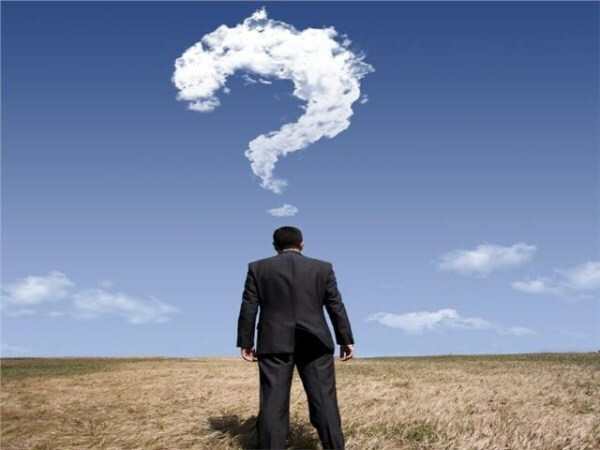 Consequently, I think the issue is that people understand that the transformation to a highly dynamic computing environment featuring everything cloud is going to take a long time – and they just don’t want to hear about it for that bloody long! Does this mean you should pull your cloud-themed marketing campaign for next quarter? No way. But you may want to temper it a bit – or at least do or say something different than everyone else. Perhaps focus more on practically achievable near-term results instead of pie-in-the-sky vision. Good advice in any case. In the meanwhile, let me know what you’re hearing when it comes to cloud computing. Are enterprises tired of hearing about it already? There is still much debate among high-tech marketing professionals about when and when not to capture website leads. Some feel the best approach is to place all downloadable resources (datasheets, white papers, recorded webinars, flash demos) behind a web form so you effectively capture contact info for everyone that accesses them. The downside, of course, is that you'll turn away valid prospects that are early in their evaluation process or simply wish to remain anonymous. 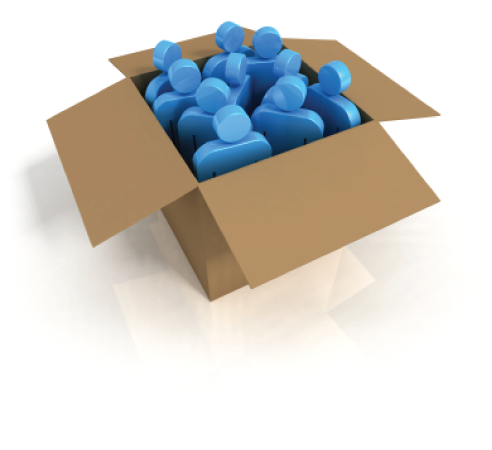 Another school of thought is to make all of your downloadable resources available without capturing any leads. Of course, you know the downside there. I suggest a more mainstream, hybrid approach that makes "some" of your content available for download without registration while requiring registration for more technically focused content. This approach "whets the user's appetite" by giving them just enough information to get them hooked and leaves them wanting more. Of course, when you require registration, the best approach is to leverage a system that places a cookie within the user's browser that either negates the need for the user to ever register again when using that browser (but notifies Marketo, Eloqua, or other marketing automation system when content is accessed) or pre-populates the web form so the user simply needs to click "submit." We want to capture the lead, but we also want to make it as seamless as possible for the user.